Mary is Senior Director, Strategy at America Achieves. She brings with her extensive experience strategic planning, and program development & implementation in philanthropy and nonprofit fields. Prior to America Achieves, Mary was a Program Officer at The Helmsley Charitable Trust where she led policy, advocacy and communications grantmaking in the education portfolio. She has led efforts at the state and national levels to build effective education advocacy coalitions in support of policies to improve equity, quality, and rigor in education. Mary served in a number of programmatic and leadership roles at the Council for Economic Education, most recently as Vice President of Government Relations and Partnerships. Mary has also worked internationally to advise ministries of education on design and implementation of academic standards and quality curriculum. She began her career as a Peace Corps volunteer, teaching English and environmental education to middle school students in Hungary. Mary hold a Master’s degree from the Heller School of Public Policy at Brandeis University and a Bachelor’s degree from American University. Mary has extensive experience organizing local campaigns and running for and serving in elected office. She currently serves on the advisory board of the English Learners Success Forum. 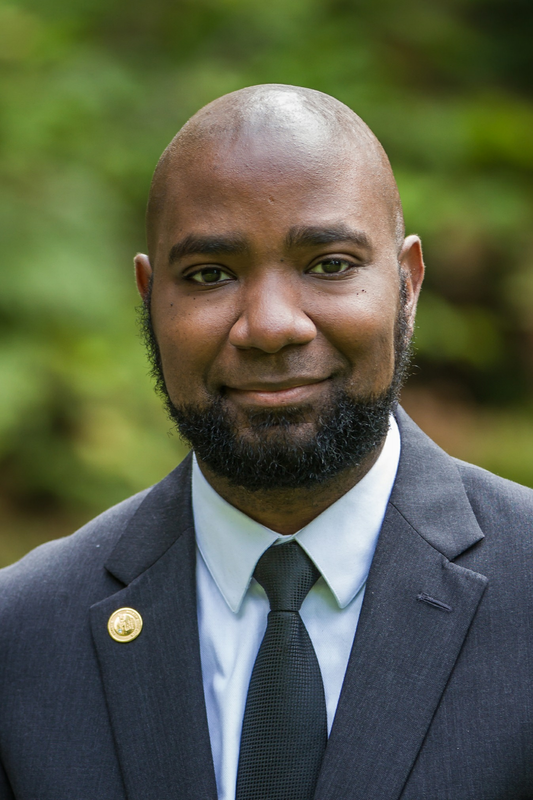 Nate Bowling is veteran of the United States Air Force Reserves and a graduate of the Evergreen State College. He was a 2014 recipient of the Milken Family Foundation's National Educator Award, the 2016 Washington State Teacher of the Year and was one of four finalists for 2016 National Teacher of the Year. Nate was also a recipient of the 2016 Joseph Albert Dear Distinguished Alumni Award from Evergreen. He blogs about teaching and educational equity issues at natebowling.com and his writing has been published in the Washington Post, New York Observer, Huffington Post and Seattle Times. Nathan is a co-founder of Teachers United, a teacher led education policy advocacy group and currently teaches AP Human Geography and AP Government & Politics at Lincoln High School, in his hometown of Tacoma. Andrew Brennen is a Robertson Scholar at the University of North Carolina at Chapel Hill and Duke University where he is majoring in Political Science with a minor in Policy Journalism and Media Studies. Andrew co-founded the Prichard Committee Student Voice Team in 2012 as a junior in high school. In this capacity, Andrew helped launch and lead a number of projects to amplify and elevate students as partners in improving Kentucky schools. These include a successful statewide, student-led campaign to restore 15 million dollars for low income student scholarships; the drafting and promotion of HB 236 to add students to superintendent screening committees; an investigation into the tripwires that prevent high school students from making smooth transitions to college; and a “student voice audit” of a local junior high school to engage students in improving school climate. In January 2016, Andrew took on a new role as the National Field Director for Student Voice, a national organization with the goal of bridging the gap between students and the education community. As part of his role in Student Voice, Andrew has led a nation-wide tour with the goal of engaging thousands of students across the country through a platform called the “Student Bill of Rights”. 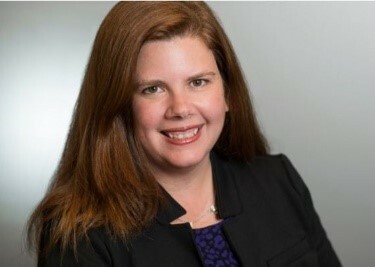 Edwards, a communications and organizational-development consultant, was the CEO of Editorial Projects in Education, the nonprofit corporation that publishes Education Week and edweek.org, from March 1997 until she stepped down in July 2016. In the face of dramatic media disruption, she is credited with energetically evolving EPE and Ed Week over the years from a print-only publication to a thriving, financially successful 24/7 digital news operation. Edwards also served as the editor-in- chief of Education Week – the premier “news outlet of record” for pre-collegiate education in the United States – from 1989-2016. The newspaper, published 37 times a year, is read by more than 200,000 subscribers and “pass-along” readers. For 20 years, she was also the editor of edweek.org, which reaches an audience of more than 1.6 million registered users, and, in 2015, she launched the Education Week Video unit to produce segments for the PBS NewsHour and other broadcast partners as well as digital video and other multimedia content for edweek.org and other online platforms. Before joining EPE, Edwards worked for two years for the Carnegie Foundation for the Advancement of Teaching and, for the nearly 10 years before that, was an editor and reporter at The Courier-Journal in Louisville, Ky.
A frequent speaker on education-policy, media, and organizational-development issues, Edwards has served on the boards of several nonprofit organizations, including, currently, the National Writing Project, TeachingWorks at the University of Michigan, and the Omicron Delta Kappa Foundation, which supports programs to honor and develop collegiate student leaders. David Mansouri is President of the State Collaborative on Reforming Education (SCORE). SCORE drives collaboration on education policy and practice to ensure student success across Tennessee and is an independent, nonprofit, and nonpartisan advocacy and research institution, founded in 2009 by former U.S. Senate Majority Leader Bill Frist. Since SCORE’s founding, Tennessee has become a national leader in education reform. 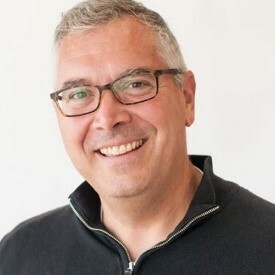 In his role as President, Mansouri leads the implementation of SCORE’s strategic plan, directing all programs and initiatives – including advocacy and outreach, policy and research, and educator engagement – as well as overseeing the organization’s financial and operational efforts. Previously, he served as the organization’s Executive Vice President. Mansouri joined the organization in 2010 as Director of Advocacy and Communications, managing statewide advocacy initiatives and strategic communications efforts focused on ensuring that students in Tennessee graduate high school prepared for college and the workforce. Before joining SCORE, Mansouri worked in political consulting and public relations, providing clients and candidates with public affairs consulting, issue advocacy support, and campaign and communications strategy. Earlier, he worked for the late U.S. Senator Fred Thompson and began his career at the Tennessee Republican Party. In addition to his work at SCORE, Mansouri serves as the Chair of the Board of Directors and was a founding board member of Nashville Classical Charter School, a public elementary school in East Nashville whose mission is to prepare every child — no matter his or her starting point — for college. Mansouri is on the Board of Directors of the Association of Rice Alumni and is a member of the Board of Directors and Public Policy Chair of United Ways of Tennessee. He was a member of the Class IV cohort of Leadership Tennessee, the 2013-14 cohort of the Policy Innovators in Education (PIE) Network Leadership Institute, and the American Council on Germany’s 2017 Young Leaders Conference. A Tennessee native, Mansouri is a graduate of Rice University where he earned a BA in Political Science and Music. He received an MBA with honors from Vanderbilt University’s Owen Graduate School of Management. Mansouri attended public schools in Tennessee. Rodney McKenzie, Jr. is the Vice President of Campaigns and Partnerships at Dēmos, a public policy organization working for an America where we all have an equal say in our democracy and an equal chance in our economy. At Dēmos, Rodney works with external partners and campaign staff to move progressive change forward at the local, state and federal levels. Previously, Rodney was the Director of the Academy for Leadership and Action at the National LGBTQ Task Force, where he led the grassroots organizing strategy that focused on faith organizing across the country. Earlier in his career, Rodney was the Spiritual Director and Co-Creator of Expansion Church, where his leadership focused on the intersection of community organizing and radical spirituality in the public square. He also served as Executive Director of Resource Generation and the first Coordinating Director for the Pushback Network. At Pushback he coordinated a state based network that centered it’s time and resources on building grassroots political power through community organizing and voter engagement. Rodney holds a Master of Divinity from the Union Theological Seminary. Rodney lives and works in New York City. Kenneth Stuzin, CFA, is the partner and portfolio manager of the Large-Cap Growth strategy at Brown Advisory. Prior to joining the firm, he was a vice president and a large-cap portfolio manager at J.P. Morgan Investment Management in Los Angeles. Previously, Ken worked as a quantitative portfolio strategist in New York, where he advised clients on capital markets issues and strategic asset allocation decisions. He graduated from Columbia University, BA (1986), MBA (1993) and is a Member, Endowment Committee, Bryn Mawr School and Trustee, Johns Hopkins Bayview Medical Center. Futurist, Entrepreneur and Investor. Earned success leading operations, new product development, corporate development (partners, M&A and VC/PE investment), sales/BD, marketing, and product marketing with start-ups and high-tech companies throughout the world. Have raised ~US$1,125M in private equity (VC) investment for 26 companies in seven countries. Founder of Chowdahead Growth Fund [www.chowdahead.org]. Chairman LifePrint LLC BoA member at Hera Systems, SocialRep and AnchorFree. Chair at Live Life Large Charitable Trust. TEDx Santa Cruz presenter [most-popular TED Talk in 2012 according to Mashable - http://mashable.com/2013/02/26/ted-x-connections-video/ ] and artist/sculptor.